Please Join SNAME Southwest for our February meeting on Underway Replenishment, the NATO and Canadian Experience - Maritime Cargo Handling. The need to have replenishment ships to supply naval vessels have a long history, tradition. Many nations providing these services to their navies have different needs and requirements based on their operation requirements. The United States has the largest replenishment ship fleet in the world because of the nature of worldwide operation requirements and a shifting station ship doctrine. NATO incorporated US Underway Replenishment doctrine through the implementation of ATP16 with US Allied Navies. This implementation allows for compatibility for RAS systems to allow fuel and dry cargo transfers amongst allied navies without disruption. Canada created their National Shipbuilding Strategy Program (NSS). 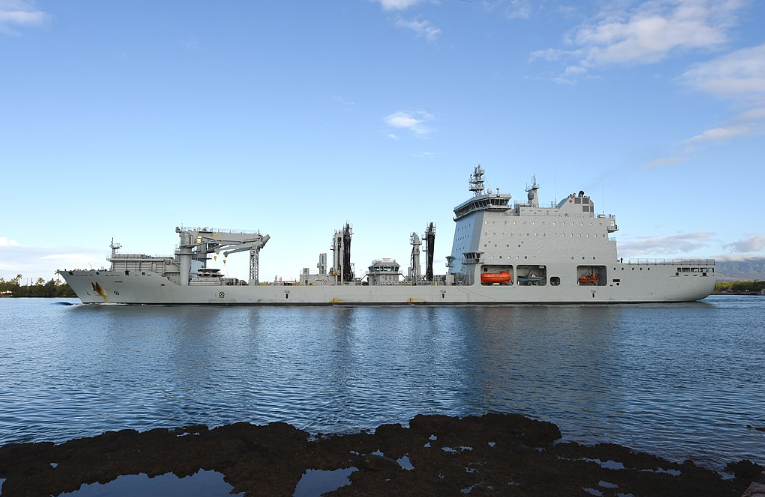 This program includes a replenishment ship class referred to as the Joint Support Ship (JSS). This ship is a modified version of the German Berlin Class AOR. I will be speaking into the incorporation of single kingpost concept and the Canadian equipment requirement. A comparison and explanation of Canadian and US doctrine based on the prescribed requirements. Please RSVP to SNAME Southwest Secretary, Esther Wazal-Chin, at Esther.wazal-chin@bassco.com by February 18, 2019.